Set in Sydney, Paris and Sri Lanka, The Life to Come is a mesmerising novel about the stories we tell and don't tell ourselves as individuals, as societies and as nations. It feels at once firmly classic and exhilaratingly contemporary. Pippa is a writer who longs for success. Celeste tries to convince herself that her feelings for her married lover are reciprocated. Ash makes strategic use of his childhood in Sri Lanka but blots out the memory of a tragedy from that time. Driven by riveting stories and unforgettable characters, here is a dazzling meditation on intimacy, loneliness and our flawed perception of other people. Profoundly moving as well as wickedly funny, The Life to Come reveals how the shadows cast by both the past and the future can transform, distort and undo the present. 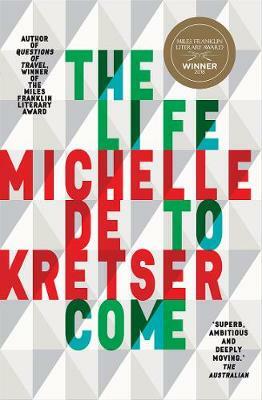 This extraordinary novel by Miles Franklin-winning author Michelle de Kretser will strike to your soul.